I have two baby cousins on the way! As a gift to my aunt on the day of her baby shower, I set up a dessert table with mini baby rattle pies, banana cupcakes, peanut butter s'more cookies, and chocolate haystacks (all perfectly fit for a western cowboy/cowgirl theme). These were extremely cute and fit the theme quite well after being tied with blue and pink ribbon and placed into little stacks of hay. I didn't even notice how much it resembled a rattle until after I finished them. 2. 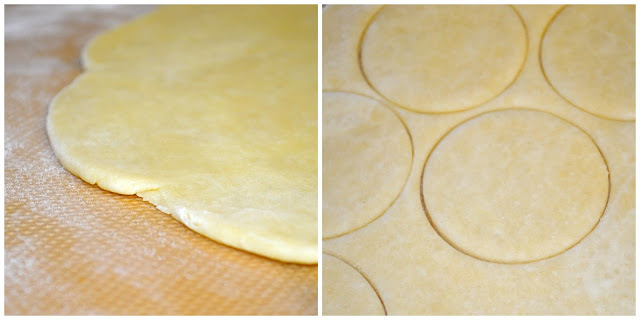 Use a small round 2" cutter to divide the dough into circles. Place half of the circles on a parchment lined sheet pan. Refrigerate the remaining circles. 3. 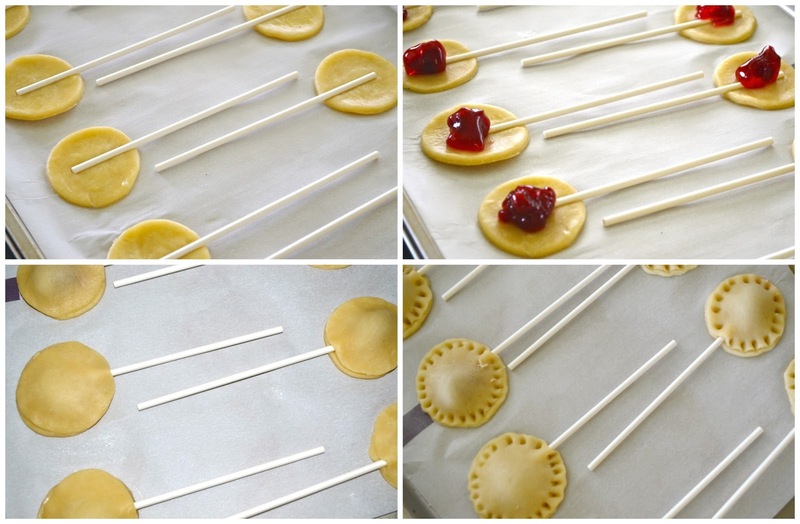 Press lollipop sticks lightly into the circles. 4. Spoon 1 tsp. of your favorite fruit pie filling on the center of the circle. Refrigerate until dough becomes firm. 6. Bake pies at 350 degrees until golden, about 10-15 minutes. 2. Combine and sift the flour, baking powder, baking soda, and salt. 3. In the bowl of an electric mixer fitted with a paddle attachment, cream the butter and sugar on medium speed until light and fluffy, about 1 minute. 4. Add the sour cream and vanilla to the creamed mixture. Combine on medium speed. Then, beat in eggs one at a time on medium speed. 5. Add the sifted, dry ingredients slowly on low speed. Do not over mix! Remove the bowl form the mixer when flour is almost fully incorporated and fold in mashed bananas until combined. 6. Fill lined cupcake pans 3/4 full. 7. Bake 18-20 minutes. Remove after 20 minutes no matter what, the cupcakes will finish baking while they cool. 1. In the bowl of an electric mixer fitted with a paddle, cream the butter. 2. Slowly add sifted powdered sugar on low speed. Add salt. 3. Mix in maple syrup, vanilla, and milk or heavy cream. 4. Beat on medium speed for 5 minutes. 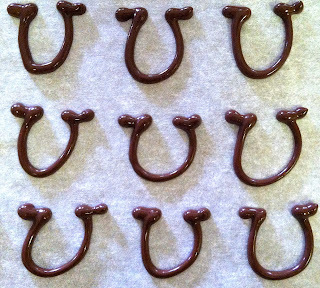 For the garnish, I used coating chocolate to pipe little horseshoes onto parchment paper. When doing so, I advise using a pen to make a template on the back side of the paper. 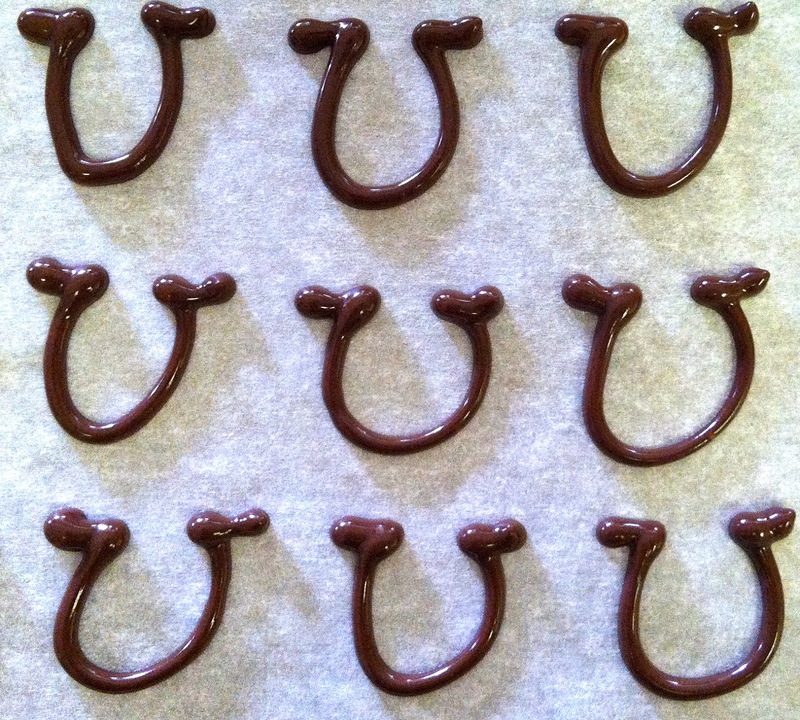 Then, I just stored the horseshoes in the fridge until I was ready to transfer them to the top of the cupcake. 1. In the bowl of a mixer fitted with a paddle, cream the butter and sugars on medium speed until light and fluffy. 2. Mix in the peanut butter, egg, then the vanilla (in that order). 3. Mix in combined dry ingredients on low speed (baking soda, flour, salt). Do not overmix. 4. Cover and refrigerate dough for a minimum of 30 minutes. 5. Preheat oven to 350 degrees and line 2 baking sheets with parchment paper. 6. 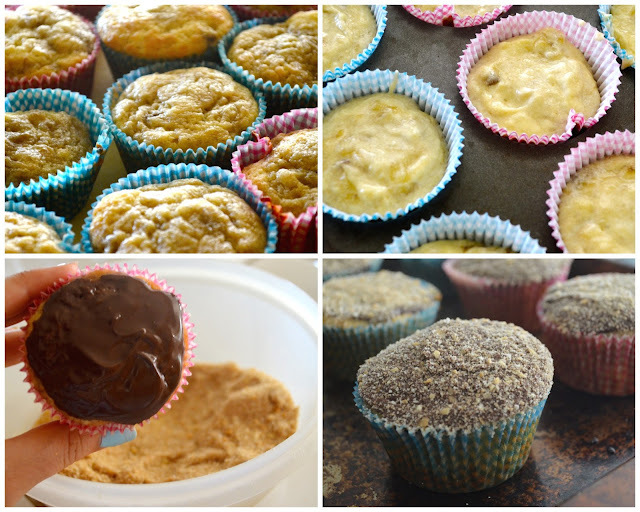 Roll cookie dough into 1.5 tbsp. balls. and place on the baking sheet 2 inches apart. 8. Remove cookies from oven. Use your palm to tap the marshmallows to make them flatten, if needed. Let cool. 9. Melt down coating chocolate according to package directions. Use a teaspoon to spoon chocolate on the center of each cookie and spread it a little. Sprinkle on desired topping. There are many ways to make haystacks. When I searched for a recipe, I couldn't really find somthing I was looking for that used chinese fried chow mein noodles, chocolate, peanut butter, (and i had some coconut on hand too). So I just sorta eyeballed it. 1/4 cup unsweetened coconut, plus extra for topping. 1. Melt chocolate carefully over double boiler or at 50% in the microwave stirring every 10 seconds. 2. Mix all of the ingredients together using a rubber spatula until all of the noodles are coated. Add more noodles if you think there is extra chocolate in the bowl that could coat more. 4. Place haystacks in the fridge for 1 hour to set. I used colored sugar to decorate both the cupcakes and cookies kind of as a sprinkle replacement, since I couldn't find much in the way of pastel pink and blue sprinkles for a decent price. 1. place sugar of your choice (I used granulated, but large sugar crystals would look great too) in a plastic ziplock bag. 2. 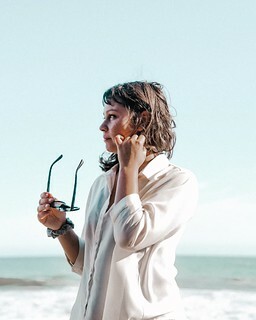 Use a very small amount of gel (not liquid!) food coloring dotted on the sugar in the bag. 3. Zip the bag and rub in from the outside of the plastic, shaking it around a bit. 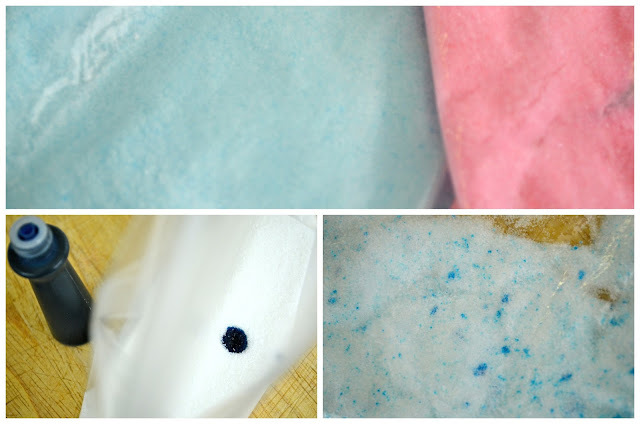 The color will concentrate into spots on the sugar (right, bottom picture), but just keep mixing until those spots disappear. 4. And walla! Pretty sugar! I'm very thankful and lucky that I had a table, props, and stands ready for me when I arrived with all the desserts thanks to the soon-to-be-grandmother. 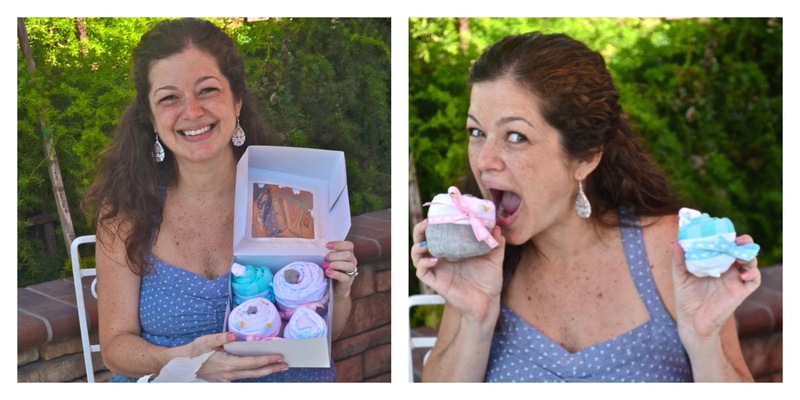 Need a neat, creative gift for a baby shower? I bought 2 onesies for the boy, 2 gowns for the girl, 2 pairs of socks, and a cupcake box. Then, I folded the clothes to resemble cupcakes according to these instructions and tucked them into the cupcake box! They were so adorable, no one even really wanted to unfold them. The most precious gift: The father's (my uncle) baby clothing and shoes from when he was little, along with a picture of him wearing the clothing items. Mother & daughter, feeling the babies kick. I can't wait to meet my new baby cousins. What a beautiful, country spread! The desserts were all delicious and couldn't have been more appropriate! You're our "go to" gal for party desserts and professionalism! Aw, so sweet of you to say. Thank you!